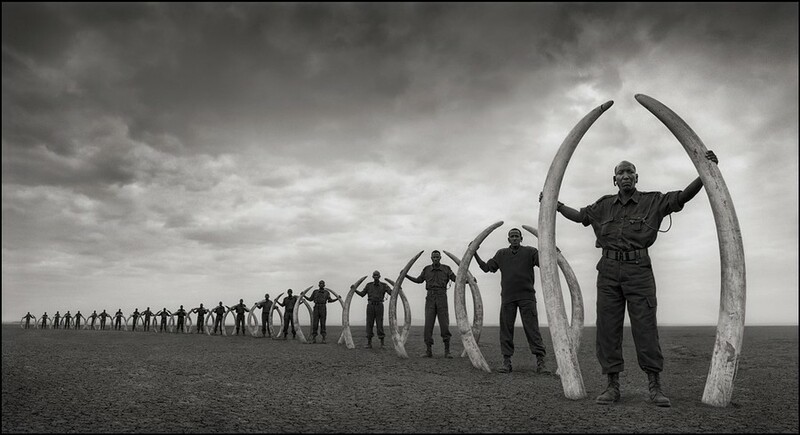 Currently on display at photo-eye is a group exhibition which includes a few new photographs by Nick Brandt. Anne Kelly asked Mr. Brandt to tell us a little bit about these striking new images. 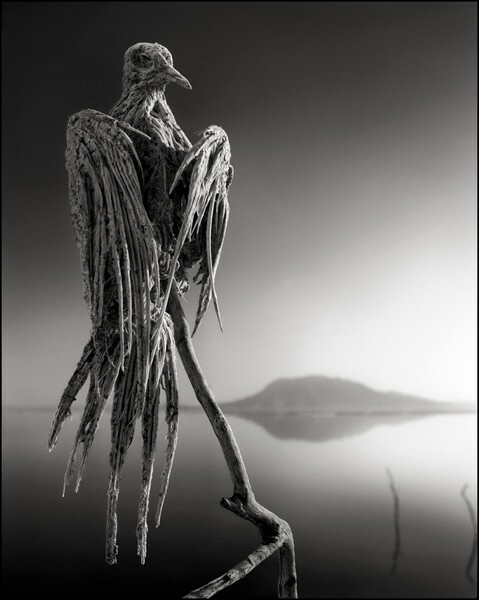 "The photos, darker in tone than previous work, reflect the further ongoing diminishing of the natural world of Africa. The three photographs of rangers are all holding tusks from elephants killed at the hands of man within the Amboseli/Tsavo ecosystem. The rangers in the photos are part of the team from BIG LIFE FOUNDATION, the non-profit organization I started in Sept 2010 in an effort to help try and halt the alarming and massive escalation of poaching in East Africa. So far, working within the Amboseli ecosystem of Kenya and Northern Tanzania, the Big Life teams have successfully dramatically reduced the level of poaching and other killings of animals in the region. The problem remains rampant elsewhere.